Fresh Arugula Salad has the tastes of spring. This slightly peppery salad is complimented with the cool refreshing taste of lemon-fennel dressing. Trim, wash and spin-dry the arugula. Place it on a serving dish. 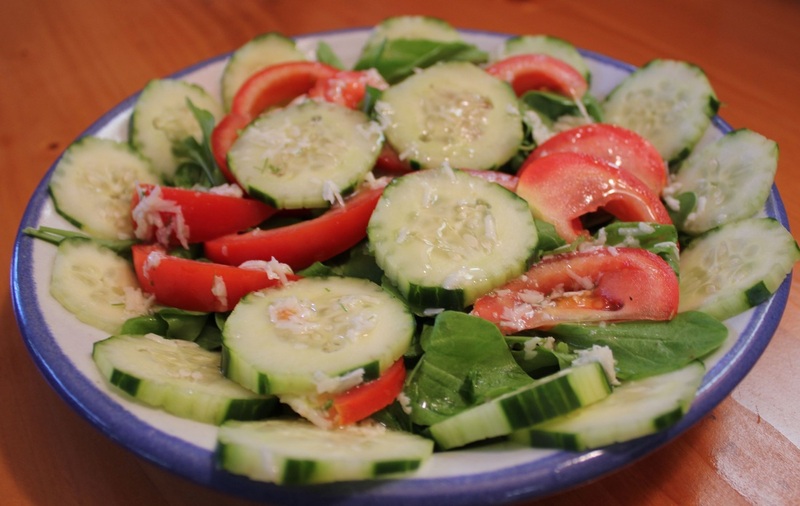 Arrange the tomato and cucumber slices on the arugula. In a small bow combine the lemon juice, fennel and Parmesan cheese. Slowly drizzle the olive oil into the lemon/fennel mixture continuously stirring until all of the oil is mixed in. Drizzle the salad dressing on top of the salad, toss before serving.